With only two left of this stunning, limited edition mechanical watch, the Bergstrom Cinq is truly one of kind. Its sophisticated design comes from the highly decorative Swiss ETA 6498-1 Movement and high polished stainless steel case finish. These decorative details give this Bergstrom model a poised and distinguished disposition. Elegant, but strong, the Bergstrom Cinq will last you a lifetime. Its advanced Swiss movement is powerfully accurate, long-lasting with a 46-hour power reserve, and is built with industry leading shock protection technology. The sapphire crystal dome protects the watch face from scratches and anti-reflective coating ensures easy readability. C3 Superluminova technology illuminates the numbers and hands of the watch for easy visibility at night as well. This classic aviator watch is inspired by the ingenious pilots who revolutionized watch design when they started strapping pocket watches to their wrists. These clever pilots were hardworking, adventurous, and possessed a certain finesse that we sought to capture with the Bergstrom Cinq’s design. The separate register at the 6 o’clock position displays seconds, similarly to the pocket watches of those early pilots. Simple, yet inventive. Durable, yet elegant, this unique watch is perfect for wherever life takes you. Personalize your Bergstrom Cinq by selecting from 2 exclusive dial styles for the second register: the standard dial or the horizon dial. The limited edition horizon dial is designed after old school artificial horizon instruments used in early aircrafts. The horizon dial mimics those instruments with its blue top half and a sweeping second hand in orange. The exhibition sapphire case back gives you a beautiful view of the watches inner movement. Blue screws, 18k gold engraving, and Geneva stripes add an extra flair and spectacular effect to this watch’s remarkable movement. Each of the Bergstrom Cinq styles come with a custom Horween Dublin tan leather strap, a blue suede strap, and a custom Noah Marion leather watch wallet. With only two left, you can choose between the clean and versatile white watch face with a matching standard white dial, or the sleek and unexpected black watch face with the horizon style dial. Three of the Cinq pieces are already sold, better hurry before they're all gone. 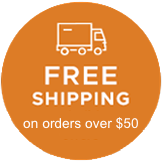 Secure your Bergstrom Cinq today with fast and free shipping. Your original, custom built watch will arrive safely in just a few days with our insured shipping.